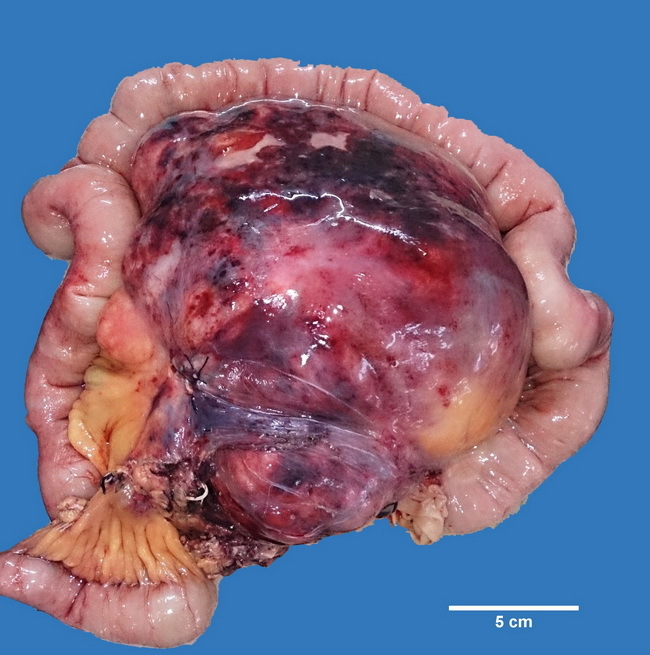 GIST in the mesentery of a 50 y/o female who presented with an abdominal mass. The resected loop of small intestine measured 70 cm in length and contained a 30 x 20 x 13 cm fleshy tumor with hemorrhagic surface. Case contributed by: Dr. Rupali R. Bavikar and Dr. Sanjay D. Deshmukh, Dept. of Pathology, Smt. Kashibai Navale Medical College, Pune, India.